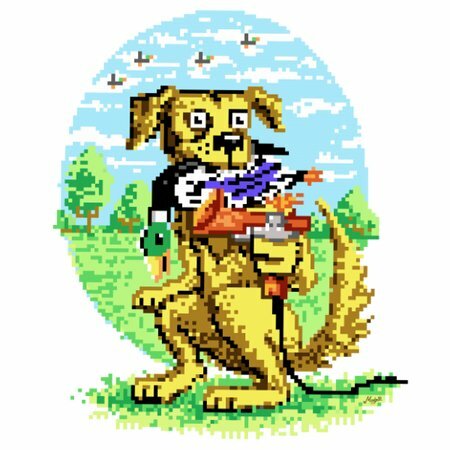 Classic Dog Hunts Duck done in 8-bit style. Awesome Yellow Bird Dog equipped with retro beam gun finally successfully zaps his prey. 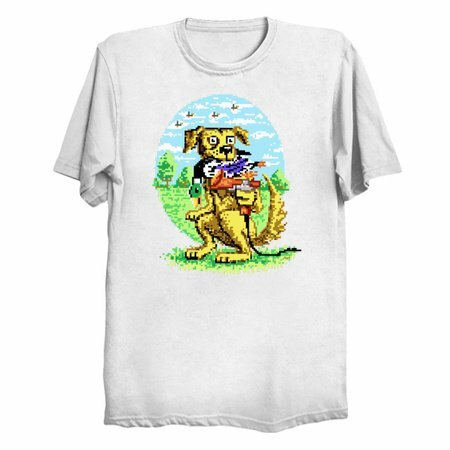 This funny old school tee is perfect for gamers, geeks and nerds.